A tweet send by @LlabTooFeR, someone characterized as having had reliable information about HTC in the past, is speculating that the sequel to the HTC DROID DNA will soon be upon us as the...HTC M7. The tweet listed all of the specs of what apparently is codenamed DLXPLUS. The rest of the numbers should sound familiar including the 4.7 inch FHD screen. This has got to the be the HTC M7, because when was the last time you saw a true sequel launch with a smaller sized screen than the first-gen model? The pixel density works out to 468ppi. Hey, where did we see that figure before? That's right, it was on a story about the HTC M7. The specs match up perfectly. Other specs include the quad-core 1.7GHz Qualcomm Snapdragon S4 APQ8064 processor, 2GB of RAM, 16GB of native storage that can be expanded using a microSD card, a 13MP rear-facing camera (which does add up to the 4.3MP X 3 Ultrapixel sensor we described earlier Monday) and the 2.1MP front-facing shooter. Jelly Bean will be pre-installed and Sense 5.0 will run on top. The tweet hints that the device will be known as the HTC M7 for Sprint and the wording of it suggests that Verizon might keep the DROID DNA name. Seems a bit early for a sequel as the HTC DROID DNA launched on November 21st of last year, but stranger things have happened. 4.7" is ideal for me. 1080P just sweetens the deal. Hopefully it has on screen keys. I don't quite believe the leaked images so far. The M7 is not 5" and will have different specs. Maybe by the time the M7 comes out for verizon the DNA will have a different price point. I see no reason to not have this phone released for verizon. Because the DNA hasn't even been on Verizon for 3 months yet, and the M7 could be considered sort of the sequel to the DNA, which is a big "Screw you and give me your money" from Verizon to customers who bought the DNA. The M7 will be delayed for Verizon for that very purpose. They have already taken that into account. Plus the slight size will mean that DNA owners will not necessarily consider the M7 a sequel to the DNA as much as they will consider it One X sequel. Unless it is marketed that way which would be a mistake. there is no rumor for the X only being on Verizon, just of it being on Verizon and AT&T & T-Mobile got the Galaxy Nexus, it was $350 on the Google Play Store, OFF CONTRACT. Verizon just consolidates their major releases for the holidays. it's around this time that the other carriers start making their moves. From what I've heard the the M7 will be coming out for all carriers. If you want my advise: If you want to have the best phones when they come out, save up and buy unlocked. I agree with Inspector. The device is brand new and already they are having a sequel to a phone that has not had a shelf life of more than what 2 months? This is why HTC is loosing money. I would agree as the DNA has everything you could ask for in the phone except one key feature... Expandable memory, or at least 32GB on board. I had kind of expected a larger capacity DNA be offered not too long after its release, but a completely new model is a surprise. Your right in a way. HTC release to many new models at once sometimes. Introducing to many new names instead of keeping one name like Galaxy or RAZR. Customers become familiar with one series of HTC phone then all of a sudden they release another. But, HTC has never been a company to release sequels to closely to one another. That's what the delay is for. HTC is trying to do the same. I feel like the DNA was a test to see if customers would bite in a 5" HTC device. Hopefully the M7 will be a One X sequel and the HTC will have something else in the works for the DNA's sequel but, on all major carriers like the M7. Then there would be two size choices for customers without having them compromise on specs. They should release a small high end model be for other companies catch on. I believe there is a market for that out there. Why aren't all these phone just called EVO's or One's? What's with the name games? ...because they think they're "quietly brilliant". Verizon you had your turn for the DNA,the other three should get M7..
That's exactly what helped HTC have a bad year the past few years. Launching one phone on some carriers and not others. They NEED to have this phone on as many carriers as they can to try and pull some numbers up. I also agree with Jonathan41 that they should've taken the EVO or Desire name and ran with it. 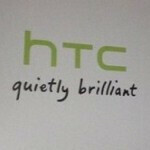 Those were the two most recognizable brand names for HTC and then they go and change it. They need to find a brand name to use for their high end phones and stick with it. And the other three had the One series, completely undiluted by the carriers. The only thing close to an actual One series was the Incredible 4GLTE, and that was lacking most of the key features the others had. Seriously, Verizon is the carrier whose customers usually get the short end of the stick. The HTC One series, the Galaxy S2, the original Galaxy Note, a true Nexus device (unless you count the original Moto Droid). With GSM being the dominant cell technology and Verizon wanting exclusive models and total control over them, they usually don't get the signature phones, the exception being the Galaxy S3 and Note 2. When people think of Verizon's biggest asset, they think coverage, not phones. The Evo name is Mitsubishi's. the only thing missing is the one thing i'm most interested in knowing about. THE BATTERY SIZE! From what I've seen so far, I like my DNA better. Except I'll be jealous about JB and memory slot. This isn't any different than what Moto did with the Bionic Release. It was delayed and delayed, then roughly 3-4 months if not less after it was out, they announced the Razr line. In this day and age when we have tech moving faster than the PC industry, you just have to learn to appreciate what you bought and not be slighted when something better comes out shortly after. It's the beauty and ugliness of the world we are in right now. Ive owned the Razr, Galaxy Nexus, Rezound 1st Razr Maxx and The S3 and NO LIE my DNA gets better battery life than all of them but the razr max but it charges in less than half the time People talked bad about their battery because of like 2 phones and didnt take the time to see there newer phone dont have battery issues. they accually have the best battery life if u factor in size differences in the batteries. I think the people who hate on htc must have bought the Thunderbolt or first evo and never tried out HTC again.